This Author is set to explain what's new and different in Windows 8 OS platform and how web developer can best optimize the new OS for one's needs. Author is collecting the valuable information from Microsoft to write on Windows 8 Consumer Preview and its real version. Currently, few author and expert have written very few volumes of books related to Windows 8 based Windows 8 Developer Preview with other information they collected related to Windows 8 OS real version from Microsoft. Stephen Walther authored for various books and doesn't speak down to the reader or waste time with basic computer use concepts. This author will give all the basic guideline for web developers, HTML5 tips, tables, illustrations, Metro apps detail, tools specification etc. in Windows 8 OS Book. As per source, Windows 8 Secrets book can avail from an eBook - Kindle edition. If you already own an Amazon Kindle, you can buy this book from the Amazon market place soon, pre-order is available and it will be delivered once it is received. Buy this book from Kindle edition and enjoy the text to speech feature, witty and reality. 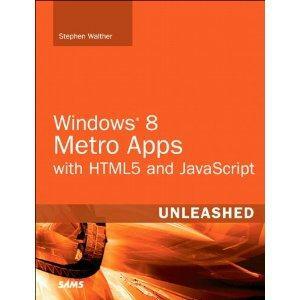 This book will definitely help you to understand the Windows 8 new features and how to handle it in a friendly manner. Need a clutter free powerful desktop PC? We got our hands on the newly launched HP Pavilion Desktop Mini and decided to check out its features for Techulator. This is a powerful yet lightweight mini PC designed for today's on-the-go generation. Here are its specifications, price, and a video overview for you to see and enjoy.